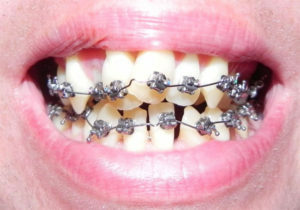 A dangerous trend of do-it-yourself braces has caused people to attempt to straighten their teeth at home without the assistance of an orthodontist. According to the American Association of Orthodontics, 13 percent of their members have seen patients who attempted DIY braces that ended in disaster. Patient’s that tried to straighten their teeth at home were using paper clips, fishing line, floss, and rubber bands. The intention behind do-it-yourself braces is to save money, but it often ends up in disaster. The following risks will convince you to consult with an orthodontist instead of attempt to fix your own teeth. A popular DIY braces treatment involves using rubber bands. People often get small rubber bands from their local pharmacy or they purchase them online. They are usually used to close a gap between teeth. You might think this will bring your teeth closer and the gap will close but it actually turns out rotating or tipping teeth. If you use objects such as paper clips and metal twist garbage ties in your mouth you are risking injury to your gums and cheeks. These pointy objects can slip and move easily and stab your gums, tongue, and cheeks resulting in a bloody painful mess. If the damaged area is not treated properly you can get an infection and further damage the tissue. DIY braces don’t allow you to control the pressure level that gradually moves the teeth into place. This means your at-home braces contraption can be too loose and not do anything but cause an inconvenience or be too tight and move the teeth at a fast rate which causes teeth to loosen. Orthodontists use proper equipment that gradually and safely straightens teeth. You might be saving money trying to apply do-it-yourself braces at home but you can be causing more damage than good. Your intention might be to straighten your teeth but you can cause some serious damage, pain, and discomfort that will lead you to emergency dental care. Braces, whether made at home or professionally move teeth into place. You are physically moving your teeth which causes feelings of pressure and discomfort sometimes during the process. You can end up causing yourself severe jaw and gum pain that won’t go away until you seek professional treatment. Visiting an experienced and licensed orthodontist for a consultation will provide you with details regarding your specific situation. The orthodontist will discuss the diagnosis and treatment needed to help you achieve a healthy beautiful smile. If braces are needed to straighten your teeth you can discuss payment options with the orthodontist office. Are you ready to toss the DIY braces into the trash and straighten your teeth the right way? Call us today to make an appointment. We also offer financing plans to help you pay for the treatment. 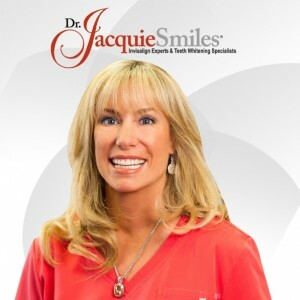 If you are interested in Invisalign braces or an orthodontics consultation in NYC, please contact the offices of Dr. Jacquie Smiles today for an appointment by calling 212-972-3522 or filling out the contact form to receive additional information. Her office is conveniently located near 30 East 40th Street Park Avenue, New York, NY 10016.